It’s been a month since Easter and we’ve been busy starting to come up with quizzes and other fun activities for this year’s Oktoberfest for Teens which will follow the theme of festivals. We’re looking forward to sharing the many traditional and modern festivals that we celebrate with you! But before any of that, there is something very exciting starting in just 17 days! Even if you’re not a big football fan, the World Cup 2014 will be more competitive than ever! 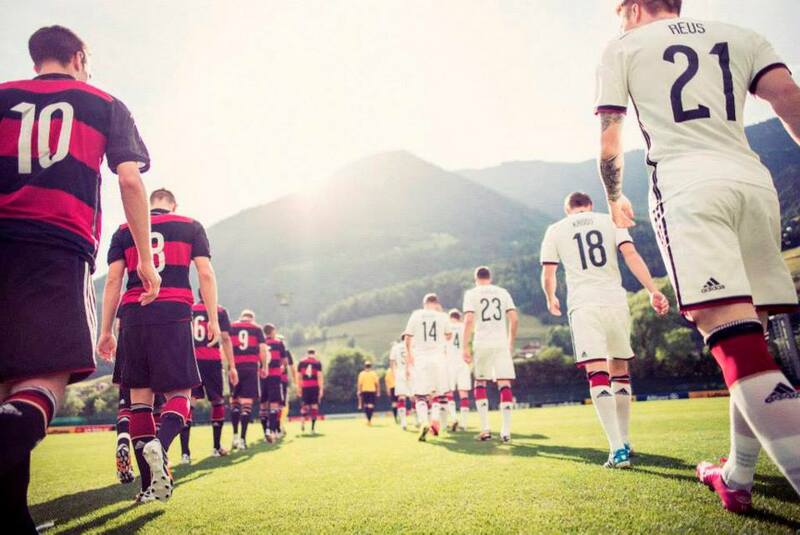 Our German boys started their training in the beautiful country side in South Tyrol. They had a training game against the German under 20s, but were able to win with a final score of 7:1 (even without superstars Philipp Lahm, Bastian Schweinsteiger, Manuel Neuer, Marcel Schmelzer and Per Mertesacker playing in the training game). If you’re interested in keeping up to date with how the team is going in preparation for the World Cup in Brazil, the DFB (Deutscher Fussball Bund) website posts the latest news and their facebook page is constantly updated with interviews, pictures and videos of the training. We can’t wait to see you all in just a few short months!